Lateefah Simon joined Akonadi Foundation as President in August 2016. As a nationally recognized advocate for civil rights and racial justice, she brings over 20 years of executive experience in advancing opportunities for communities of color and low-income communities in the Bay Area. 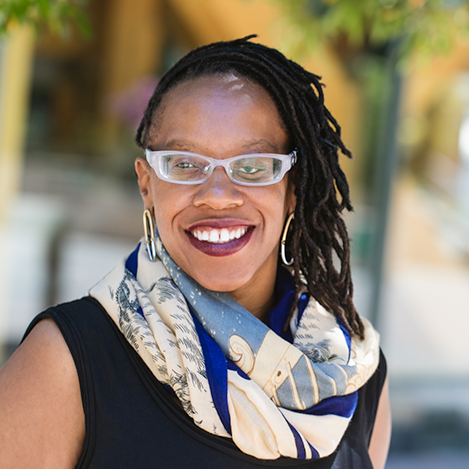 Prior to joining Akonadi, which seeks to eliminate structural racism that leads to inequity in the United States, Lateefah served as Program Director for the San Francisco-based Rosenberg Foundation, a statewide grantmaker focusing on systemic barriers to full access to equity and opportunity for Californians. Lateefah managed the Foundation’s portfolio of grants supporting groundbreaking advocacy in criminal justice reform, immigrant rights, low-wage workers’ rights, and civic engagement. In 2016, Lateefah helped launch the $2 million Leading Edge Fund, created to seed, incubate, and implement bold ideas from the next generation of progressive movement leaders in California.